Hello, everyone here is Aviation Dreamer and here you can Search Airline Jobs and get Airline’s interview tips. If you think you want to make your career in Aviation Industry then this is the right place for you to get suggestions. So, now I am gonna write on the cabin crew salary. 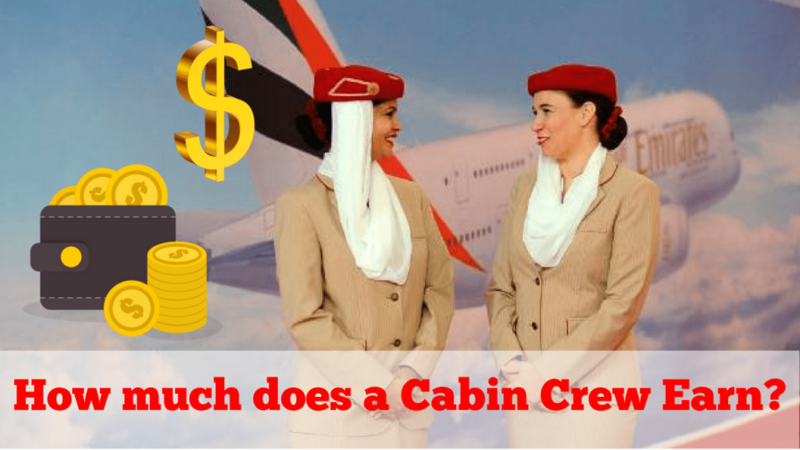 That – How much does a Cabin Crew Earn? or How much do flight attendant get paid? So, check out the full article. However, despite the need for airline employees, they do not just hire anyone. It should go through a long process, which is definitely worth after getting a job. But you are probably thinking, that How much can you earn while working as a cabin crew? Is all cabin crews earn the same amount of salary? The country on which the airline is based. The number of flying hours provided by the cabin crew to the airline. Most of the time, a cabin crew is offered a special package in which the amount of salary is not constant. Apart from basic salary, there are other additions, such as daily allowance or allowance during scale. And in-flight sales commission, which is the percentage of tax-free sales. For the Philippines, salaries are especially different when the airline they work for is locally or internationally. For local teams, they can earn from $ 900 to $ 1,400 as an estimate. In the meantime, if they have their base abroad, a flight attendant can be compensated with the amount of $ 1,600 to $ 3,000. One thing you should keep in mind is that the cabin staff are recently put on probation for six months after renting, and in that case, the salary may be slightly reduced. But, of course, once you have demonstrated exceptional performance and demonstrated your interpersonal skills, the airline for which you work will be ready to increase your salary. Suitcases, which are replaced every two years. Health benefits provide for the crew and their dependents family members. Attendance awards (including unused days off and sick leave).